Applications: These are commonly used on disc sanders and combination belt/disc sanders. The sander base is often metal and requires the use of adhesive (PSA) backed sanding discs, which are not always readily available. Buy using a conversion disc, the base can be changed to hook-backed to take more standard grip backed sanding discs. Product Notes: Peelable paper backing exposes adhesive. Fix carefully to centre correctly. Plain (no vent holes) disc to suit most metal disc bases. 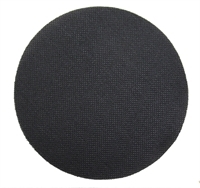 Also Available: We stock a range of 125mm and 150mm sanding discs with compatible grip backing.